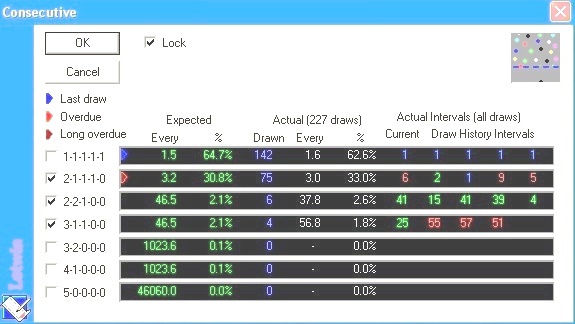 Both our 'locked filters' came up plus the number set of 6 numbers for the 2nd ball in the draw (blue background) having all 5 numbers correct in just 97,512 lines (only 4.6% of all possible lottery combinations) for the EuroMillions draw ($68,000,000) of the 20th of June. 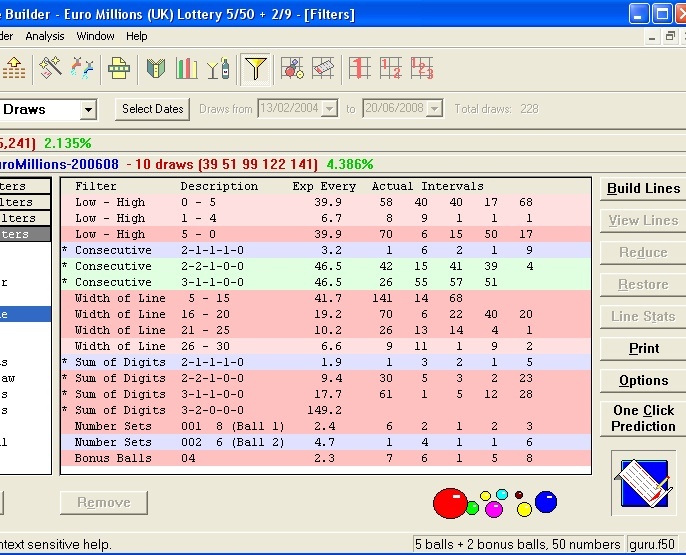 We are using LotWin's lottery software in case you didn't know. Can I win in every lottery draw for my lotto? Often the quetion arises if it would be possible to find a set of lines that would have won in every draw. 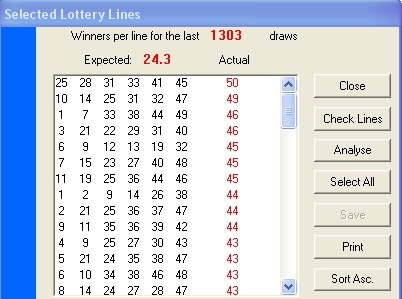 In forex trading we say "the trend is your friend" and it has worked well up until now but I ain't gonna follow this for Friday's EuroMillions draw.